Next week, the Bureau of Safety and Environmental Enforcement (“BSEE”) will host a forum on critical offshore connector equipment failures, including connector bolts used in blowout preventers (“BOPs”) currently deployed on the U.S outer Continental Shelf (“OCS”) and worldwide. 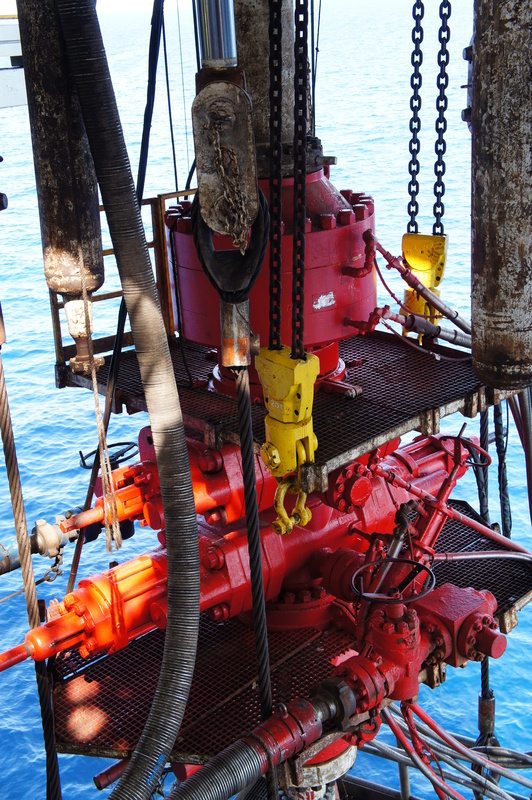 The forum follows a flurry of recent activity by BSEE to address potential safety and environmental risks associated with faulty subsea connector bolts. To illustrate the importance of these seemingly basic BOP components, BSEE Director Brian Salerno, in a July 2016 “Director’s Corner” blog post, detailed two reported failures of connector bolts that have occurred over the past six years. Director Salerno warned that “[w]ith so much at stake during these operations, we have a responsibility to the workers and the environment to make sure that every one of those bolts can handle the stresses they are designed to withstand.” Director Salerno’s post also outlined the steps that BSEE plans to take to address those failures, including: (1) utilizing information on safety component failures that will be reported under the “Blowout Preventer Systems and Well Control Rule” (“Well Control Rule”) to better understand the extent of the problem; (2) working with other domestic and international regulators to identify global bolt failure incidents and causes; and (3) reaching out to and coordinating with industry participants to determine ways to improve quality assurance, manufacturing specifications and proper installation and use of subsea bolts. This client alert discusses BSEE’s review of prior reported connector bolt failures, outlines the new reporting requirements in BSEE’s Well Control Rule, and details safety component, supply chain, quality control, and contractor issues that oil and gas companies operating offshore should be mindful of going forward. BSEE’s current focus on connector bolt failures follows a series of incidents and investigations over the past few years, and indicates that the agency believes the issue to be a recurring and unresolved problem. In July 2014, BSEE issued a report entitled “Evaluation of Connector and Bolt Failures,” in which it found that connector bolts had cracked due to quality control problems, in particular inadequate coating and treatment of the bolts. BSEE also concluded that existing industry standards do not adequately address bolting/connector performance in subsea marine applications. On February 2, 2016, a month after sending the API letter, BSEE issued a safety alert, encouraging offshore operators to work with original equipment manufacturers (“OEMs”) to: (1) verify that there is complete documentation demonstrating that all components currently in service satisfy the metallurgical properties specified by the OEM and the latest industry standards; (2) verify that all installation and maintenance procedures (including torque processes and values) satisfy OEM requirements and ensure that these practices are effectively implemented; and (3) report any failures to OEMs and appropriate industry organizations in a timely manner to ensure the prompt transmission of relevant data to the industry. Following this safety alert, API and a number of other industry representatives engaged with BSEE to address the recommendations contained in the alert. A March 2016 presentation noted that there had been a number of instances of failed bolting due to properties of the steel used, improper use (procedures, torque, etc.) and problems with the design of the bolting system. Joint BSEE and industry collaboration on bolt connector problems has continued throughout 2016, and BSEE has collected materials related to this effort on its website, which is available here. Further discussion and collaboration can be expected at the forum scheduled for August 29, 2016. Effective July 28, 2016, section 250.730(b) of BSEE’s Well Control Rule requires an operator to provide written notice of an “equipment failure” to BSEE and the equipment manufacturer within 30 days after the “discovery and identification” of the failure. In this context, “failure” is defined as “any condition that prevents the equipment from meeting the functional specification.” Section 250.730(b) also mandates that an operator perform an “investigation and failure analysis” within 120 days of a failure to determine the cause of the failure. Results of the investigation and corrective actions must be documented and, in specified instances, provided to BSEE. In light of the new reporting obligations prescribed in the Well Control Rule and BSEE’s continuing focus on connector bolt failures, it is clear that companies operating on the OCS should work with their contractors and OEMs to evaluate potential problems in components used in safety critical equipment. When there are incidents and/or testing failures of safety critical equipment planned to be or currently deployed on the OCS, companies should conduct an investigation into the reasons for those failures, both to remain in compliance with BSEE’s regulations and to determine whether further analysis of supply chain and/or quality control processes is warranted. Van Ness Feldman LLP is available to assist clients in understanding obligations under section 250.730(b) of the Well Control Rule, conducting incident investigations, or evaluating potential supply chain and/or quality control problems. If you have any questions on these issues or any of BSEE’s regulatory activities, please contact Michael Farber, R. Scott Nuzum, or Jonathan Simon at 202-298-1800 .